The Fast and Furious spinoff, previously referred to as Hobbs and Shaw, has received an official title and will now be called Fast & Furious Presents: Hobbs & Shaw, reported Collider. 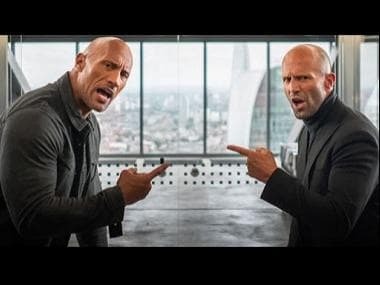 An exclusive look from the Dwayne Johnson and Jason Statham's starrer was unveiled on Entertainment Weekly on 19 December, along with an interview with the lead cast. Johnson has also shared behind the scenes snaps from the film's sets, and also introduced Idris Elba as the film's antagonist, Brixton. He described Elba's character as the "baddest, most diabolical, most dominant and coolest bad guy" in a recent Instagram post. 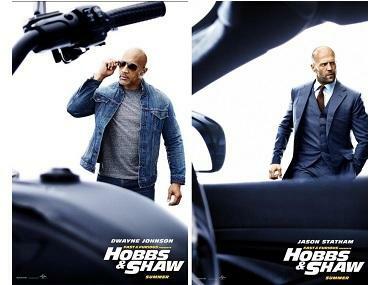 The narrative of the upcoming film, directed by David Leitch, follows Johnson's US Diplomatic Security Agent Luke Hobbs as he enters an unlikely association with Statham's Deckard Shaw. Vanessa Kirby will be playing Deckard's sister and Eiza González will be seen as a mysterious character called Madam M.